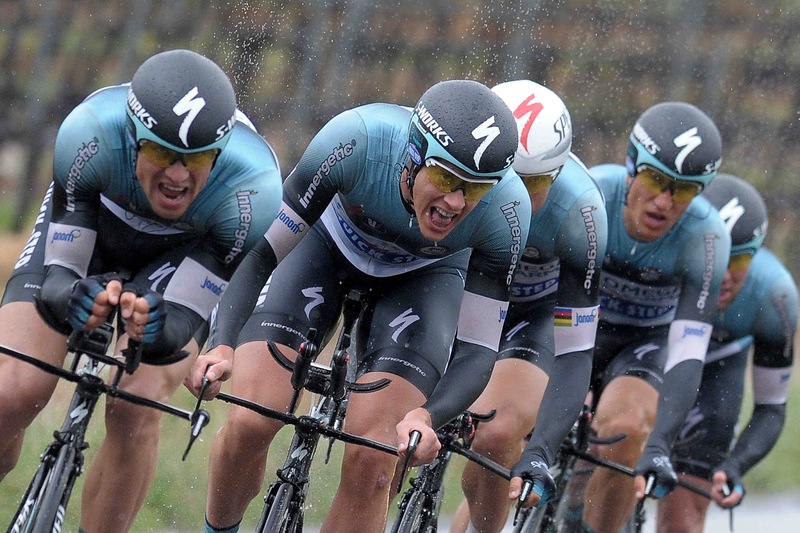 Omega Pharma-Quick Step had the fastest time today in the 16.9 Km TTT on wet Tuscan roads. Mark Cavendish became the first wearer of the leader's, maglia azzurra, jersey. The team time trial recon by Vini Fantini Selle Italia of today's Stage 1 course; camera on the handlebar of Oscar Gatto.